Betty Amann was born on March 10, 1905 in Pirmasens. 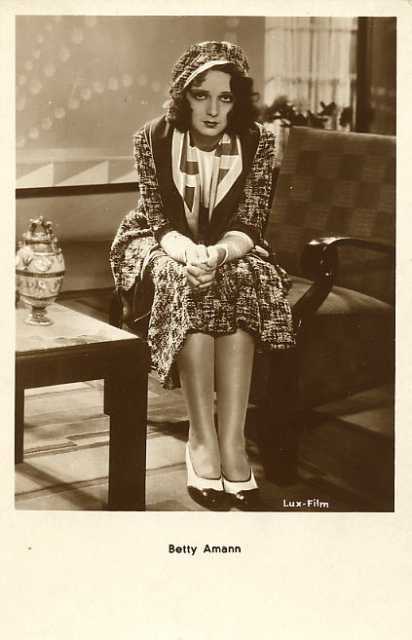 She was a German Actress, known for Der weisse Teufel (1930), Die grosse Sehnsucht (1930), Asphalt (1929), Betty Amann's first movie on record is from 1926. Betty Amann died on August 3, 1990 in Westport, Connecticut. Her last motion picture on file dates from 1943. Frankreich nach USA, dort bekannter Film 1943 unter der Regie von Edgar G.